California dog and cat buyers are protected by a 1995 law titled “The Polanco-Lockyer Pet Breeder Warranty Act” (the “Act”), commonly called the “Puppy Lemon Law,” which provides several ways to get compensation for a dog or cat that dies or becomes ill within a set time after purchase. The Act covers breeders and pet dealers separately, but with similar requirements and procedures; buyers of cats from dealers have limited protections, but not from breeders. There is at least one inconsistency within the law that causes confusion and may complicate disputes between sellers and buyers, regarding what a buyer must do to enjoy the Act’s statutory remedies. This post discusses the Act, the rights it provides to buyers, how to exercise those rights, and a drafting problem in the law. If you have any questions about it, or about other issues of animal law or animal-related business, feel free to contact me anytime. 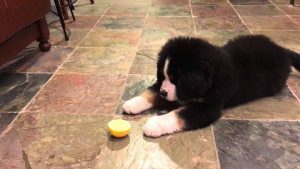 What Does the Puppy Lemon Law Do? The Act is codified as California Health & Safety Code section 122045 et seq., and can be found here. (All references to code sections are to Cal. H&SC unless specified otherwise.) Article 1 of the Act, commencing with section 122045, addresses purchases from dog breeders; Article 2, commencing with section 122125, addresses purchases from pet dealers; and Article 3, which is much shorter and is not addressed in this post, deals with dog pedigree registries. Parts of the Act set mandatory minimum standards for the conditions breeders and dealers must provide to animals, and these are designed to be enforced by the city or county attorney where the business operates. This post does not address those, focusing instead on issues that arise between buyers and sellers. The Act defines dog breeders as those who sell or give away three or more litters or 20 or more dogs during the past 12 months that were bred or reared on the breeder’s premises. (§122045). It defines pet dealers as those required to possess a permit under Revenue & Taxation Code § 6066 (which applies to persons with a business selling tangible personal property in the state), who are in the business of selling dogs and/or cats at retail, and excludes dog breeders that sold or gave away fewer than 50 dogs in the preceding year. (§ 122025). Dog breeders, and dog and cat dealers, must provide to purchasers both a written and an oral disclosure with specified information. This includes a disclosure of “any known disease, illness, or congenital or hereditary condition that adversely affects the health of the dog at the time of sale, or that is likely to affect the health of the dog in the future.” (§§ 122050 (breeders) and 122137 and 122140 (dealers)) (For cats, the disclosure includes “any known disease or sickness that the cat is afflicted with at the time of sale.”) Breeders and dealers must also provide a written notice of rights to purchasers that essentially describes the Act. (§§ 122100 and 122190). A purchaser’s rights under the Act cannot be waived, although they may agree on additional terms with a breeder or dealer. (§§ 122105 and 122195). What Are My Rights Under the Puppy Lemon Law? Keep the dog and receive reimbursement for veterinary fees up to 150% of the purchase price plus sales tax. If the dog has died and the purchaser has obtained an appropriate letter from a veterinarian, he or she may elect to obtain (1) a refund for the purchase price plus sales tax and reasonable veterinary fees incurred, up to the purchase price plus sales tax, or (2) a replacement dog of equivalent value plus reasonable veterinary fees incurred (up to the same limit). (§§ 122070(b) and 122160(b)). NOTE: By the terms of section 122070, the veterinarian must be “licensed” for a diagnosis of illness or disease in a living dog, but “licensed in this state” for a diagnosis of a congenital or hereditary condition, or for a dog that has died of any cause covered by the Act. However, section 122080 specifies “a veterinarian licensed in this state” for diagnosis of all relevant conditions. Therefore, if you have purchased a dog in California but it falls ill or dies in another state, you probably cannot take advantage of the Act’s protections unless you obtain the relevant statement from a veterinarian licensed in California. (Sections 122160 and 122170, regarding purchases from dealers, mirror the language in the breeder sections.) The points that the veterinarian’s written statement must cover, and the form in which expenses to be reimbursed must be presented, are set forth in sections 122090 and 122180. How Do I Exercise My Rights Under the Puppy Lemon Law? NOTE: There is no requirement that the breeder/dealer’s designated veterinarian be located conveniently for the purchaser. However, a dealer who designates an inconvenient veterinarian may be inviting substantial penalties if the case goes forward to litigation; it might be evidence the breeder/dealer is acting in bad faith. Note also, the Act is not exclusive; a purchaser may have other legal bases for a lawsuit, and some of those may include attorney fees as damages. If a dog dies within 15 days of delivery to the purchaser, there is a rebuttable presumption that the illness existed at the time of delivery. (§§ 122075(a) and 122165(a)). The mere presence of internal or external parasites does not render an animal unfit for sale. (§§122075(b) and 122165(b)). Do I Have to Return My Dog If I Want to Keep It? Finally, there is an apparent drafting problem that arises in comparing the remedies available to a purchaser with the requirements they must meet to obtain those remedies. I’ll talk about this in the context of breeders (Article 1), but the same language is in Article 2 (regarding dealers). Section 122070 provides a purchaser with various options, including keeping a dog that has fallen ill within 15 days of delivery (or been diagnosed with a congenital or hereditary condition within one year of delivery). Section 122080 requires a purchaser who wants to exercise any of these options, including keeping the dog, to return the dog to the breeder (“substantially comply with all of the following requirements”). These are inconsistent; a purchaser cannot very well both keep a dog and return it! Where a law has some internal inconsistencies, courts try to give effect to all of the parts, and more specific sections take precedence over more general ones. The remedy of section 122070(a)(3) is more specific than the requirements of section 122080, with which a purchaser must “substantially” comply. Courts also look at other, related sections of a law to see whether they are consistent with one interpretation or another of an ambiguous or contradictory section. The language in section 122090(c) ties the due date for reimbursement to the date when the breeder receives a veterinarian’s statement from the purchaser, not to any return date of the dog, suggesting the delivery of the statement is the legally operative act, not the act of returning the dog. The only logical resolution that adheres to all the text of the law is that the dog is being returned for examination by the breeder. Yet the statute does not say so, and it explicitly provides for examination by another veterinarian chosen by the breeder. And of course, the breeder’s opinion will be influenced by his or her self-interest, whereas a veterinarian is not only better equipped to make a determination, he or she is more likely to give an objective opinion. It makes more sense that the requirement of section 122080(b) to return the dog to the breeder applies solely when the purchaser either wants to return the dog for a refund (§ 122070(a)(1)) or wants to exchange it for another dog of equivalent value (§ 122070(a)(2)). I have encountered at least one situation where a breeder reportedly insisted that a purchaser return the dog pursuant to section 122080(b) even though the purchaser wanted to keep the dog as permitted by section 122070(a)(3). In my view, taking into account the law’s purpose of protecting consumers and the logical inconsistency of requiring a person keeping the dog to return the dog, a court would interpret section 122080 to require the purchaser to deliver the veterinarian’s written evaluation to the breeder, but not to return the dog, in order to obtain a refund of veterinary fees from the breeder. When was the sale? When did the illness manifest? When was it diagnosed? Did the breeder provide any other documentation to you? Does it appear to satisfy all the requirements of secs. 122050(a) and sec. 122100? Is your veterinarian’s statement compliant with the requirements of sec. 122090? Breeders and dealers will have similar considerations. Does the Act’s definition of breeder or dealer cover them? Was the notice of illness and veterinary letter timely and legally adequate? In any event, both breeders and dealers should ensure they provide documentation to buyers consistent with the law’s requirements. If you have further questions about the Polanco-Lockyer Pet Breeder Warranty Act, or other questions about animal law (including the business of animals), please contact me!